For my first blog post i decided to get straight into my absolute beauty routine staples! I stumbled upon this little beauty one day in the airport a few years back after I had done the unthinkable thing of forgetting my make up bag for my holiday!! I was searching frantically for a waterproof mascara when the Clinique lady showed me this. It's actually water resistant, not waterproof which is what I think makes it so amazing! It stays on through humidity, tears, pool water or just general day wear without the dreaded flaking or running, yet when I jump in a hot shower it just falls off beautifully!! 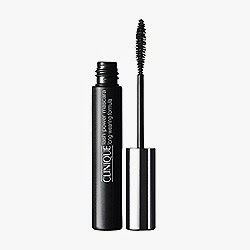 The problem I've had with other waterproof mascaras are that they are an absolute pain to wash off afterwards, often giving me a very unattractive pander eye look when I step out of the shower, but with this gem it's completely gone!! The downside is that at £17 a pop it's not cheap! However, I think when you find something of such decent quality it really is worth the extra money! I now always remember to pick a few up when I'm in the duty free (usually a couple of quid cheaper!!). 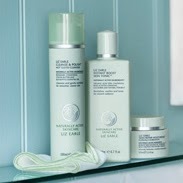 I was introduced to Liz Earle about a year ago by my lovely friend Lauren. I had been searching for the right cleanse, tone and moisturise routine for some time and nothing had worked! I was constantly prone to breakouts and generally had very greasy skin, so decided to take her advice and give this a try. When I first visited their lovely shop in leeds I was expecting to spend a fair amount, however I was so suprsised when the total for all 3 products came to just £43! Compared to Clinique and others I had tried where I was paying £60 every couple of months! I began using the products straight away. They felt amazing on my skin and within a couple of weeks I was breakout free! Finally, something that worked! The only thing I altered in the end was the moisturiser. Not because I disliked theirs- I just couldn’t part with my Olay! I’ve met sooo many ladies with nice skin who look much younger than they are, and each one has always said they’ve used olay from a young age! Priced at only £6.99 this little beauty leaves my skin looking radiant without costing a bomb! I’ve tried lots of other big brand foundations but I tend to find a lot of them too thick or too orange for my pale little face! 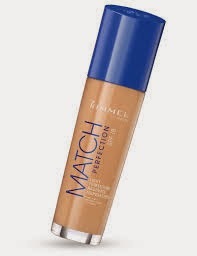 Due to my ridiculous paleness (unless I attempt to fake tan) I really do struggle to find foundations that match my skin tone- but this one does the job perfectly! One trick I’ve also learnt is to apply a translucent powder over the top of the foundation – this generally stops me from getting the dreaded orange line above the neck area! So there we go, first blog post done! Hope it wasn’t too boring, let me know if you have used these products or can recommend any better ones, would love to hear your opinions! My favourite buys of 2014 so far!